Usually, when a tar and gravel roof begins to leak, it is not considered ‘repairable’. Thus, this guide is intended to help homeowners and facility managers to temporarily patch the roof and stop leaks, until complete roof replacement can be done. Complete roof replacement is highly recommended to avoid / prevent the ‘sunk cost’ – costs that have been incurred and which cannot be recovered to any significant degree (or simply – waste your money). An analogy can be drawn with an old car, where you keep on fixing a small thing, one after another, until something major breaks, and all the money put into fixing it, is lost. These can be purchased at your local roofer’s supply warehouse, lumber yard, Home Depot or Lowe’s. Roofer’s warehouse is a preferred place to buy your supplies, as they will have the best selection and knowledge of products you will need. Try Bradco Supply, ABC roofing supply, Beacon supply or Harvey Industries (in New England only). These are all either regional or national roofing supply warehouses, and they usually stock everything you may need, and also have a somewhat knowledgeable staff to answer your questions. These are the places where most roofing contractors shop, so you should be able to find what you need! Few dry towels / rags. This is the essential step in patching of the roof. The nature of flat roof leaks makes it difficult to identify the spot where the water is coming in, since it may ‘travel’ under the roofing membrane, until it finds the lowest spot, and only then you see the stains on your ceilings. The easiest way to find a leak is to start at the lowest spot, where the water may be collecting and sitting for days after each rain – this is called ponding water, and it is one of the most common leak spots. You will need to shovel off the loose gravel to the high spot and clear at least about 100 sq. ft of roof area. If you have ponding water under the gravel, you can use old clothes / rags and a dustpan to put it in a bucket and get it off the roof. First, watch this video on step-by-step tar & gravel roof repair, and it will be easier to understand and follow the steps and procedures described below. 1 ) Once the area is clear of water and dry, look for blisters, cracks and openings in the tar, or other signs of water entering spots. 2 ) Cut out the blisters with the utility knife – make a large ‘X’ cut and then pull it back a little. Let it dry out, then open up the cracks and let them dry out also. 3 ) When everything is dry, use a plastic trowel to apply a thick layer of tar under the area you have cut, and set the sliced portions of the roof back in the tar. 4 ) Use the towels to clean up the area under the X. Sweep away all dust and dirt under, over and around the cut area. This will greatly improve the quality of your repair. 5 ) Now spread an even coat of tar over the patched area approx 1/8 inch thick or a little more, so that it goes at least 6 inches beyond the repair area. 6 ) Cut out a piece of fabric that would be enough to cover the repair area and place the piece of fabric in the tar. Use a towel to set it in, so that the fabric gets saturated with the tar until you see it coming through the fabric. 7 ) Apply another thin and smooth coat of tar over the fabric and beyond its edges. 8 ) Feather the edges into the old roof. 9 ) Put back the gravel with your hands, over the repaired area – make sure you do not use a push-broom, as that will disturb your new patch. This gravel will protect the repair from devastating sunlight. 10 ) This is a 3 course tar and fabric patch. Add another layer of fabric, then tar and it is a 5 course. Bear in mind that this repair will last you about 3-6 months, after which another repair in the same spot will be required, and at the same time more leaks will probably appear elsewhere. The purpose of such repairs is not to get rid of leaks all together, but to temporarily stop leaks, while you gather resources and information to install a new roofing system. Due to the nature of tar and gravel roofs, there is no permanent cure for roof leaks. As tar dries up, it turns into a ‘dust compound’, which helps the de-lamination of the patch from the existing tar roof. Therefore, unless you are willing to take the continuous roof leak and repair cycle, which not only has direct repair costs, but also does hidden damage to the structure of your home or building, which in effect will increase your out of pocket costs, when you finally go with a full roof replacement. Also, if you do not feel comfortable performing these repairs yourself, we recommend that you hire a professional roofer specializing in flat roofing – not Joe, the shingler, that your friend knows. Flat roofs are completely different from regular shingle roofs, and require special training/experience when dealing with them. I am in Santa Monica California. I am President of a Condominium Home Owners Association and we have BUR rock roof. The weather in Santa Monica is very mild so our roof is still in very good condition however, I think it was put in about 15 years ago. Recently one of the units put in a Washer Dryer and cut through the roof for the dryer vent and washer drain vent. The next time it rained there were leaks in his unit at first around his vent but after they were sealed more leaks about 4 feet away from the new vents. Would your type of solution work to repair about a 10 foot square section or does it require that the entire roof to be done? I called four local roofers and they all wanted to remove the entire roof and start from scratch. One said he could patch that area but he would want to cut out that section and replace it with a rolled cold asphalt roof. Can you refer me to someone in Los Angeles that uses your method? Roofs like yours are hard to fix, but possible. Whichever route you choose – repair or getting a new roof, try not to go for cheapest option – it will be too expensive. As an option to fix this – clean a 4×4′ area around the penetration, with vent in the center. Remove all rock – as much as you (roofer) can. Put a patch of IB roof (4×4 feet) with went flashing. Follow these directions: (Your Roofer should understand this – if he doesn’t, fire him). Attache to the existing roof using IB PVC COATED TERMINATION BAR and WATER CUT-OFF Caulk between roof surface and termination bar. Weld IB (or other PVC) to the termination bar. Make sure WATER Cut-Off does not get in the seam (weld). If it does, clean it off with MEK solution or Acetone, before welding. This, if done correctly will last you a bunch of years, until the bond between roof and termination bar fails, bit it won’t happen soon. Try Chandler’s Roofing – they are in your area – they are very reputable and do good work. Tell them Leo form Cool Flat Roof sent you. hi, i already signed a contract to do my asphalt gravel roof and because of rain the contractor cant start my roof right away and hes behind schedules, so im wooried since it getting colder that its not good to do the roof when the weather is really cold, i was thinking it will not dry enough and the roof wont be strong and wont last longer than expected although the contractor said its not a problem even if its cold, If i knew that it wont be done sooner i would do it in summer. My roof keeps getting repaired and then it keeps leaking. The person doing the repairs says its the flashing on the chimney. How can it keep coming off? Is your roof tar and gravel or smooth surface flat roof? If smooth surface, use a squeegie to push the water off. If it is tar and gravel, use heavy broom to push gravel off to the side, and just let it dry or you can use the rags – I mean it’s water and there isn’t much you can do to speed up drying process. I don’t recommend using any torches as you can burn down your house. I have a T&G roof with multiple leaks infiltrating through the deck underneath over an area of approx. 2.5 ft wide by 2.5 ft long starting at a chimney extending outwards. 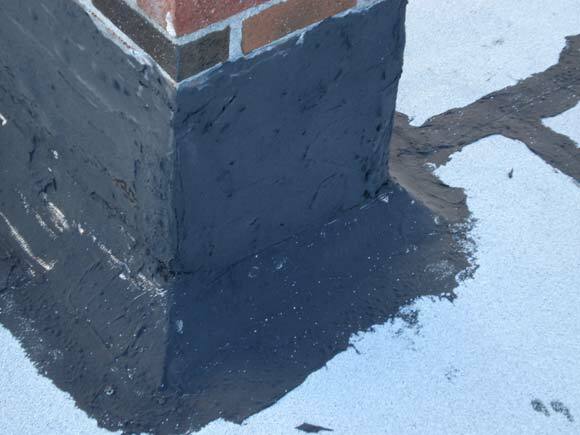 A roofer suggested patching by brushing back the gravel & pouring Black Knight sealer/primer over the affected area & also patching the joint at the chimney with fibrous wet & dry roof repair…seems too easy… what are your comments or advice ? Hi, I have a flat tar roof that has a small leak. Fairly small (row home) I brought in a handyman to provide an estimate and would like to get opinions based on his comments/estimate. I’m not really familiar with this stuff and what I should expect in terms of prices for patching, vs. prices for replacing the roof. Here’s his note, any feedback appreciated. 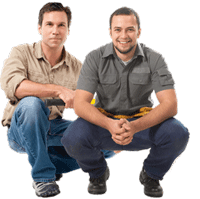 “In general your roof is in decent shape however there are couple spots better to be addressed. The roof was patched years ago close to the hatch and sunlight and this particular area shows cracks and wear from weather. Around the hatch and sunlight frames are holes and cracks water possibly seeps through them as well. Hatch itself need to be recovered/recoated too the coating is brittle and disintegrating. Also the vent pipe cracked at the base and water could get there but that water may not find the way to the beams/stucco/walls. I have a low pitch tar and gravel roof that is leaking in several different areas on one side of the room. I am having trouble pin pointing where they are coming from and have tried to patch and spread tar based coatings but nothing seems to stop the leaks. I thought i had repaired them this past summer but with a few hard rains I am back where I started. When on the roof I see no visible bubbles to patch. Should I brush all the gravel back and try an aluminum coating instead? or can you recommend another avenue without replacing the roof? If your roof leaks in only one spot, you can probably repair it and don’t need to replace it, unless it is horrible shape and will start leaking like a sieve any moment. Right of the bet, DO NOT go with new tar roof – tar and gravel roofs are a thing of the past, difficult to diagnose and repair when they leak, and you are much better off going with a single ply PVC roof such as IB Flat Roof. Back to your current roof – if you send us some pics of the roof area which you suspect to be leaking, I might be able to diagnose it… without more information on your roof, I can’t really give you an advise. However, I have a question – why does your contractor want to replace a sloped (asphalt shingles) roof with a tar roof, which is a flat roofing material? I am dealing with an old mill building. The roof deck consists of 3″ tougue-and groove decking about 8-10″ wide. The majority of the roof is T&G, but all along the soffits have been replaced withy rubber roofing (apparently when roof drains were installed). I have a major leak at the intersection of the old T&G roof, and the newer rubber roof. A decking board was totally rotted away, so I opened the area, replaced the decking, and patched it with a 10’X6′ peice of rubber. I used self-adhesive seam tape around the rubber patch, and then caulked all the seams with roof caulking. This procedure has been very successful on the other mills that I maintain which have full rubber roofs. Unfortunately, I do not know how to handle the intersection of the rubber roof and the T&G roof. I peeled back about 2′ of the T&G roof. It had some type of cardboard or tar paper underneath the tar. I applied some tar under the edge of the rubber patch, pressed the patch into the tar, and applied tar over the edge of the rubber patch. I took the part of the T&G roof that I had peeled back, and placed it back in position. At this point the edge of the T&G section was lying on top of the edge of the rubber patch with tar used to bond them. I then took tar and fiberglass tape and covered the top of the intersection of the T&G roof with the rubber patch. After all this work, the entire edge of the T&G roof is leaking just as bad as before. Can anyone give me some advice on how to marry the T&G roof to the rubber. I am just trying to make it through the winter. Right off the bet, I have to say that tar is not compatible with rubber and will in time damage the membrane. It’s best to use Solar Seal 900 as the sealer between the two, and it works much better than tar. I would insert a 1″ thick deck board cut in half, longways, under the joint between tar and rubber roof. This will create a small improvised separation wall, and keep the joint above water. Do the joint the same way as you did it, by having tar roof over the rubber. Scrape off as much tar as you can and apply a thick bead of Solar Seal caulking between the two roofs, with the 1″ decking board, sitting directly under the joint. Make sure your overlap is at least 3-4 inches. I would also recommend adding a bead of Water Stop (also known as Water Cut-off) behind the Solar seal, for better seal. Once you did the overlap, get some aluminum or galvanized steel termination bar and screw it over the seam, using corrosion resistant roofing screws. Make sure that screws go through both roofs, where the bead of caulking runs, so each screw is sealed. Before you put in the screw, ad a “drop” of solar seal, where the screw will penetrate the roof. Seal the head of each screw with solar seal. In the end, you will have the joint sitting above the roof line, so water should have very limited access to the joint. This seal should hold for a number of years. One thing that can compromise the quality of the seam is the tar on the rubber. I have a pitched singled roof (main structure) that connects to a tar and gravel flat roof (built on addition). There is some leaking at the joint, my question(s) how can i repair this damaged area? Can i fix this without replacing the entire tar and gravel roof, which isn’t leaking. I was thinking of pulling up about 2 rows of shingles, scraping off about 3-6 feet of the tar and gravel roof at the joint. and putting up some kind of leak proof membrane going from about 3 feet up the pitched roof down to about 3 feet into the t&g roof, then putting a metal flashing under the shingles, but on top of the membrane, where the two roofs meet. Then retarring and graveling the area i scraped off, covering the 3 feet of membrane which is on the flat roof area. You are pretty much correct about repairing this roof leak. 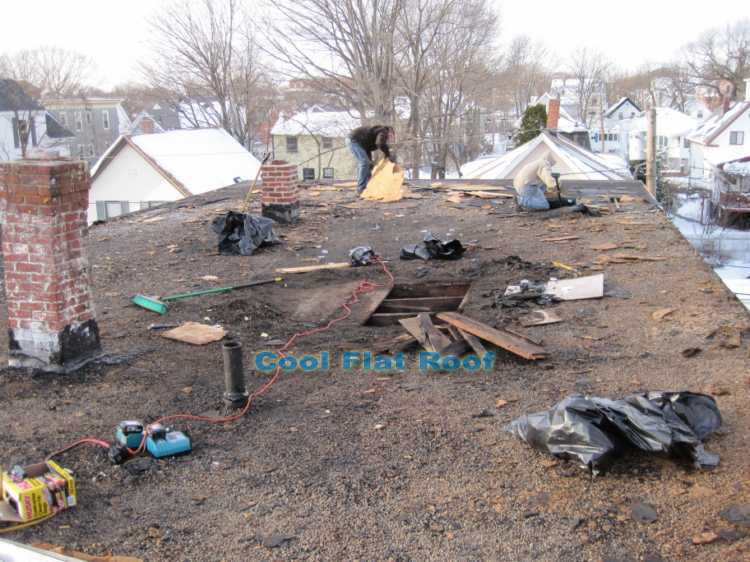 What I would do – remove about 3 feet of asphalt shingles – 6-7 rows. Fabricate a metal flashing with 7-8 flange with 3/4″ hem (back bend for stiffening purpose) that would lay on the flat roof portion, and 12-18 inches on the pitched roof portion. Any siding contractor can manufacture this for you pretty cheaply, using aluminum flat stock. Have the make it out of thicker gauge metal – .032″ aluminum would be ideal, but anything above .022 is ok.
On the flat roof portion I would remove all gravel, about 1 foot away from the pitch change (connection point between flat and sloped roof). Clean up the area (sweep, and blow some pressured air using a compressor) and apply thick layer of tar over this area and up the roof slope. Then I would get Solar Seal 900 caulking and Water Cut-Off caulking from a roofing supply warehouse. I would run two beads of caulking – Water Cut-off on the inside of the flange – about 1.5 inches from the edge, and Solar Seal 900 about 1/2″ from the edge. Install the metal flashing down, and seal joints with 3″ overlap and 2 beads of solar seal between them. Use come roofing screws or exterior rubber washer screws to attache the flange to the flat roof portion, and regular roofing nails to attach the metal flashing to the sloped roof. Seal the screw heads with Solar Seal. Then use Grace Ice and Water shield to cover the one foot of metal flashing that is going up the roof slope. I&W shield is 3 feet wide and should cover the rest of the pitched roof where you removed the shingles. You can use some Solar Seal at the bottom of the Ice and water shield – it will seal against wind driven water. You really don’t need to extend your flashing more than 7-8 inches on the flat roof portion. Water cut-off and solar seal will do the trick for many years. Make sure that the angle of the metal flashing is slightly wider than the angle between the the flat and pitched roofs, so that your metal flashing is not popping up. You can use degrees or roof pitch to measure the angle on the metal flashing. Also, make sure that tar paper / felt, overlaps the Ice and Water shield. Good luck, and let me know how it goes. You can even send in the pictures of your roof repair. I have a pitched roof (slight pitch)which does not leak.